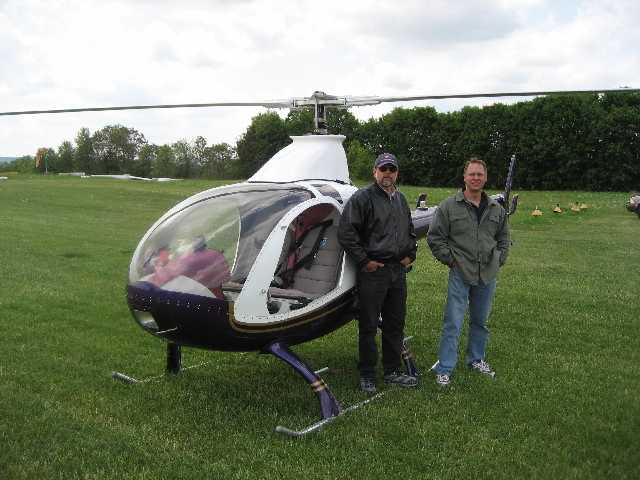 Orv traveled to Pennsylvania to instruct Nick Stoltzfus, Bill Kichman, and Dale McGuire in their Rotorway 162f, Exec 90, and Exec 152 dual ignition helicopters. 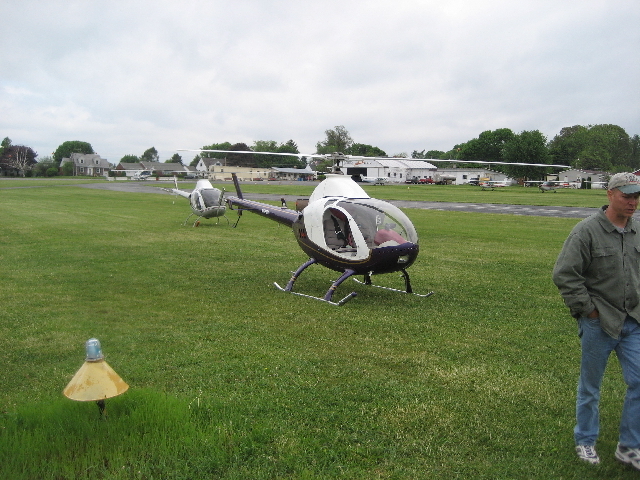 They kept their flight instructor very busy and every one had a great time practicing approaches and autorotations. 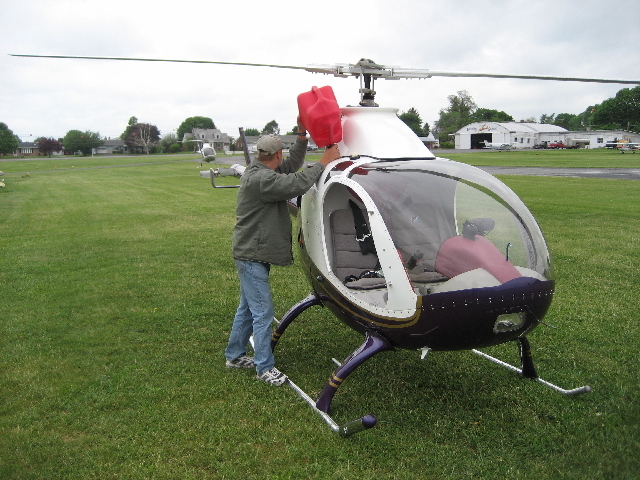 Bill wanted Orv to give his helicopter a thorough inspection and was glad that Orv found several very substantial safety issues. 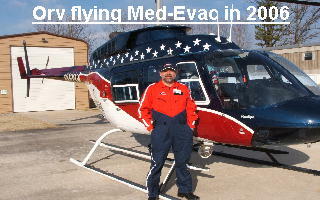 Once the ship was modified and ready to fly, they worked on approaches and autos. Notice the short skids, shortly after our training session, Bill installed new skids and reversed his front landing bows. 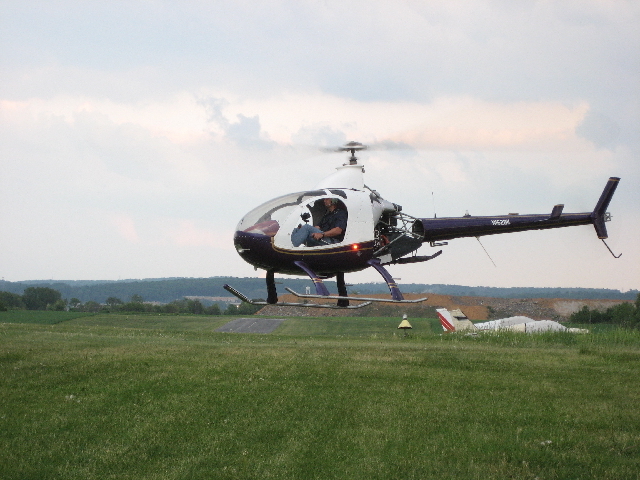 Bill lifting off to practice approaches following a dual training session with his instructor. 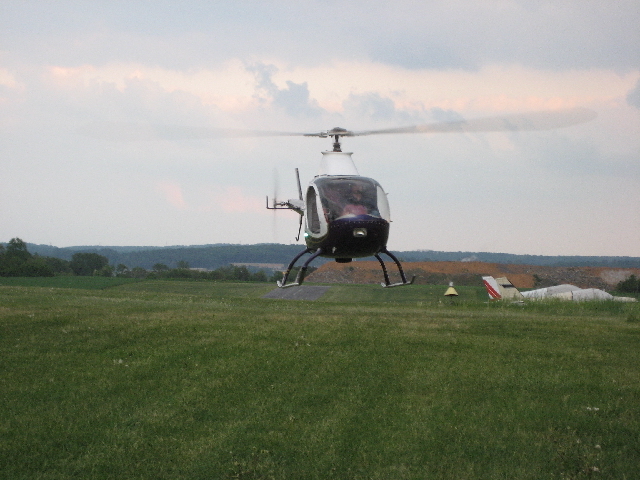 In this shot Bill has refueled the helicopter, Nick has landed behind him, and Orv is just finishing up with Dale so that he can fly again with Bill. The chant for the week was "More Autos- We Like Them- We Like Them".